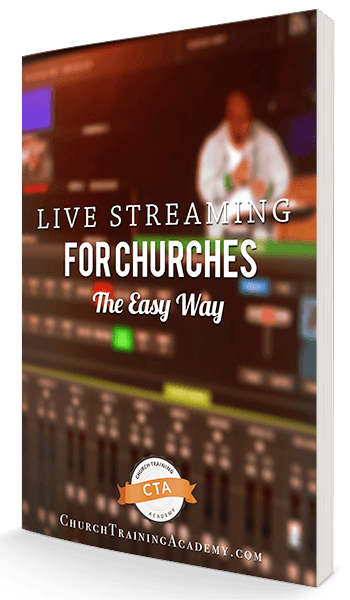 Captioning your videos would make your sermons more accessible, but is there an automatic caption generator that would work for your live stream? In today’s pro-tip, we’re sharing our favorite FREE automatic caption generator…and yes, it will work with live streams. When you’re live streaming, web captions can seem like a thing out of your reach…but Web Captioner inches it closer to your grasp with its powerful automatic caption generator cloud software. Web Captioner is easy to use, just hook up your audio to your computer, then click “start captioning.” As your church live stream runs, it will automatically generate captions for your content. Is it perfect? No, but anyone watching will be able to understand what you’re saying (just watch the demo in the video above). In addition to live captioning, you can run a video into Web Captioner and generate transcripts for your videos. Simply hook your audio out back into your computer, then play the video while Web Captioner listens and transcribes. Of course, we love it ‘cause it’s free. This thing works so darn well. Just watch the demo above, seriously. It just works. It’s expandable to transcribe your videos too. To make your sermons even more accessible online, you need to consider adding captions. This includes your live streams. And with 85% of Facebook videos played without sound, your videos will have an edge over most videos on Facebook just by having captions on the video. There are plenty of paid automatic caption generators out there, but Web Captioner is a great place to start today if you have no budget. Give Web Captioner a test for yourself, and report back with how you think you might use it.